Sample temperature is held at liquid He temperature during the observation. 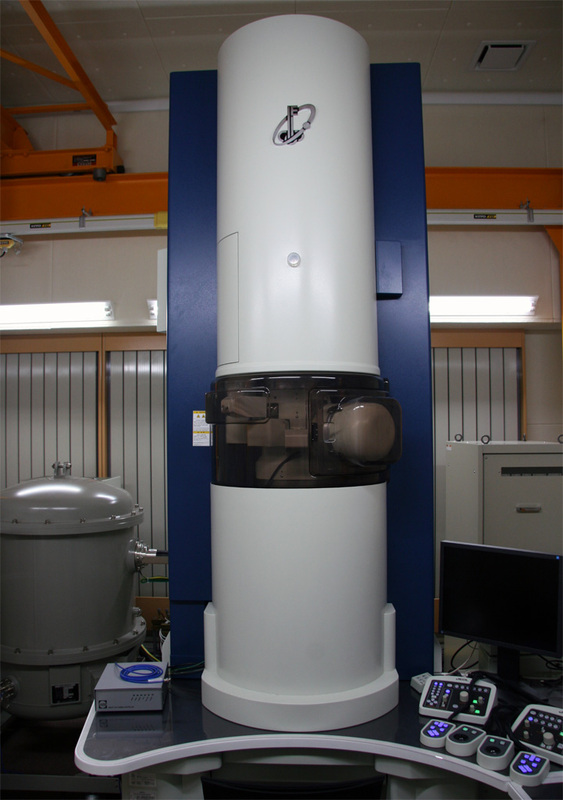 This cryo-TEM has "cryo-transfer system" so that sample can be inserted into sample stage without exposure to air after quick quenching. It can be used as both of TEM and STEM. 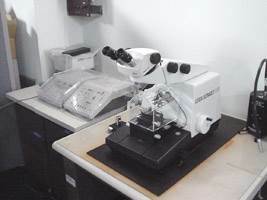 It is an analytical TEM for general purpose with sample heating holder, low temperature holder and so on. 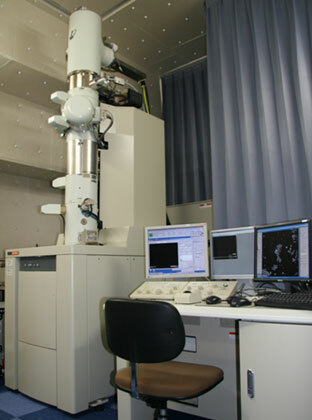 It can carry out elemental mapping by using EDX at atomic resolution and EELS measurement at high energy resolution. 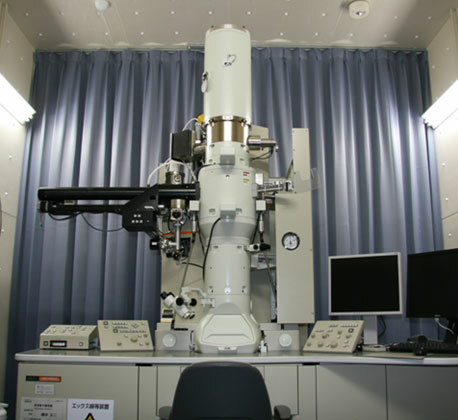 FIB is an apparatus for cutting and thinning of comparatively hard EM samples like ceramics and metals by Ga ion beam sputtering. 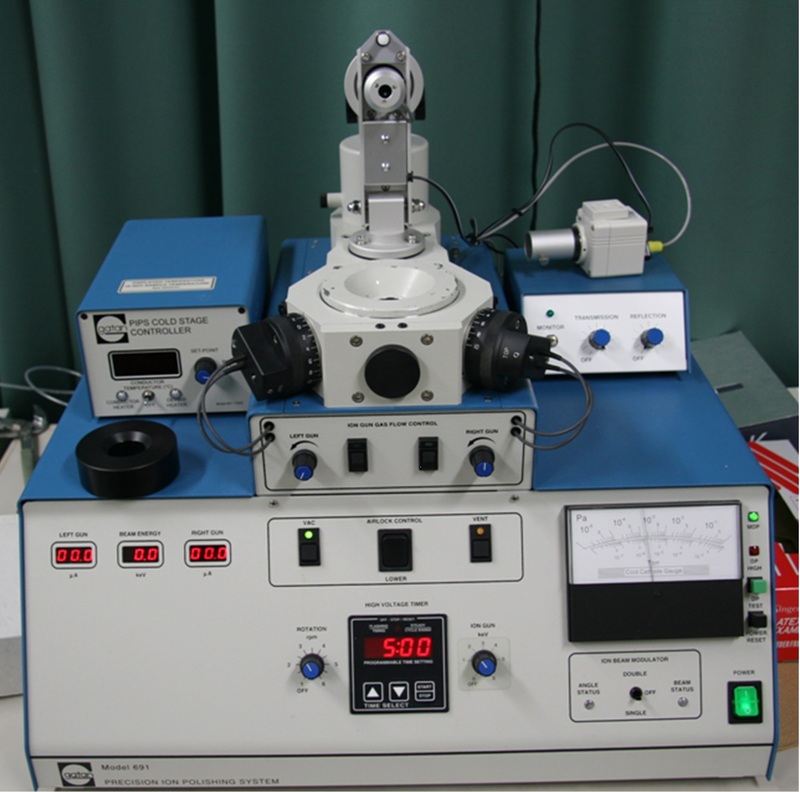 Microtome is an apparatus for cutting and thinning of comparatively soft EM samples like organic materials by diamond knife. 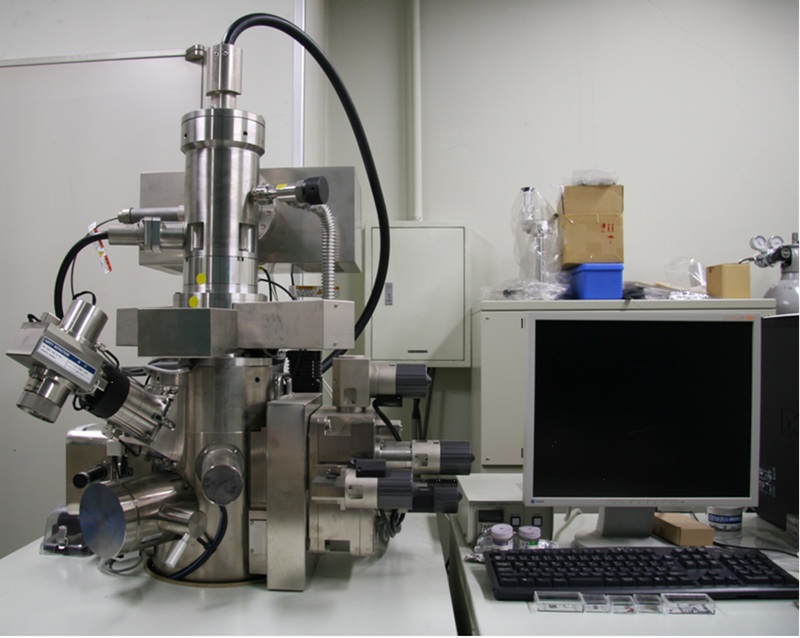 This apparatus is used for the final fine polishing of the surfaces of the samples prepared by FIB and dimpling machine by Ar ion beam sputtering. 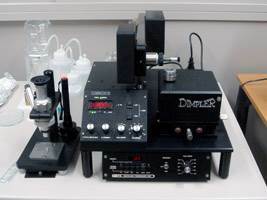 This apparatus is used for the thinning of comparatively hard materials by dimpling after polishing with diamond paste.